Since the popular rise of kale, I’ve been singing its praises. So if it came down to a veggie smack down, “Spinach vs. Kale” which one would be the heavy weight? If kale is the reigning champion of the superfood world, then spinach is certainly a tough contender – but you don’t have to let them duke it out, enjoy both! Just like kale, spinach is a tasty, super nutritious leaf but it’s part of the amaranth family. Spinach is a good source of folate, a B vitamin that is important for women during pregnancy as well as anyone who enjoys wine. Moderate consumption of wine can strip folate from the body, which can increase your chance of breast cancer, but getting plenty of folate may reduce several types of cancer. Spinach is a good source of non-heme iron which is excellent for health, but its absorption rate is lower than heme iron which you will find in other foods like beef and other animal proteins. Prewashed baby spinach is one of my fridge staples because it’s so easy to use, cooks quickly, and I don’t have to take a lot of time washing it. To preserve the nutrients, don’t overcook spinach, cook it in the skillet under 5 minutes — once it wilts it’s ready to serve or toss it into your enchiladas and bake under 30 minutes at 350°F. Spinach has a milder flavor compared to kale (part of the heartier cruciferous family) and its leaves are a lot more delicate. Spinach is part of the dirty dozen and its leaves are exposed to pesticides more readily then a root vegetable which is somewhat protected in the ground as it grows. 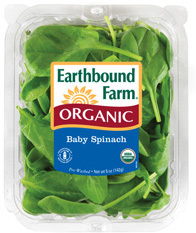 Go organic if it’s in your budget, and look for prewashed baby spinach that’s fast cooking and cuts back on prep time. No matter what type of spinach you choose, here are 15 easy ways to fall in love with this powerhouse green. 1. Go green and toss spinach in with your favorite protein, chicken or shrimp next time you stir fry. 2. Toss a handful of prewashed baby spinach into your soups and stews. Turn the heat off and cover to wilt the leaves, about 2 minutes, then serve. 3. Love iceburg lettuce but looking for a lot more nutrition? Don’t cut the crisp wedge, just serve them over a bed of spinach leaves (at least 1 cup) and drizzle with blue cheese dressing and one crumbled, cooked slice of bacon. 4. Start your morning off with vitamin-rich spinach. Toss 1 cup packed, spinach leaves into your blender. Top with probiotic-rich kefir or yogurt, add 4 ice cubes, 1 cup of frozen blueberries or cherries, and a handful of your favorite nuts for added minerals and protein. Blend away for a sweet morning shake. 5. Add a cup of spinach to your pasta sauce before you toss in the pasta. Cook just 1 minute to wilt the leaves, then add pasta and serve. 6. Are you a grilled cheese lover? 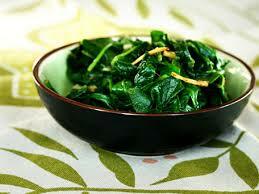 Tuck in 1/2 cup of spinach leaves and increase the vitamin load by 100%. 7. Stir chopped spinach into your favorite risotto dish during the last minute of cooking. 8. Wilt 1 cup spinach leaves in a dry hot skillet for 30 seconds then toss into your go-to brownie mix. 9. Place 2 cups chopped spinach in a large bowl with 1 cup low-fat plain Greek yogurt, 1/2 cup mayonnaise, and 1/4 cup grated Parmesan. Mix well and bake for 20 minutes at 350°F for a tempting yet healthy spinach dip. 10. Gotta have lettuce and tomato on your lunchtime sandwich? Leave your lettuce for spinach, tuck in tender baby spinach leaves to give your sandwich a nutrient boost. 11. 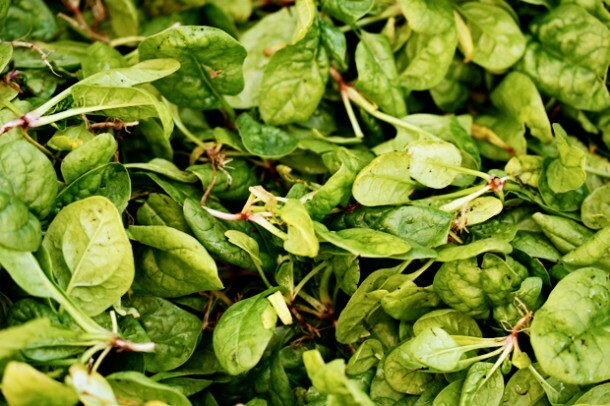 Wilt 1 cup spinach leaves in a dry hot skillet for 30 seconds, and add to your take-out pizza. 12. Blend 2 cups baby spinach with 1 cup store-bought olive oil mayonnaise for a delicious, more nutritious sandwich spread. 13. Fold a handful of prewashed baby spinach into your taco meat and cook 1 minute until it wilts, fill your tacos and enjoy! 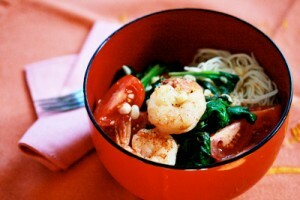 Or toss spinach in with your stirfry shrimp, no need to make a separate veggie side dish. 14. Wilt 1 cup spinach leaves in a dry hot skillet for 30 seconds. Place whole wheat crackers on a toaster oven tray and top with spinach. Top with a few slices of cheese and toast 2-3 minutes for the ultimate cheese-and-crackers. 15. Make your own spinach calzones with frozen whole wheat pizza dough. Just defrost a 1-pound dough and cut into four even portions. Roll out each into an 8-inch round and top with 1/2 cup baby spinach leaves. Top with 1/4 cup of your favorite marinara and a few tablespoons of grated mozzarella. Pinch the edges closed to make a half moon shape and bake in a preheated 400°F oven for about 20 minutes, then serve. Ok, time to share: What’s your favorite spinach recipe? Let us know in the comment section. And please post any questions or comments you may have on this vegetable!